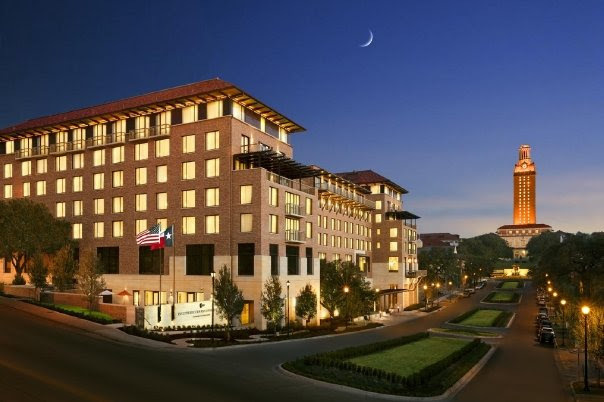 Have you registered for the ASNE-APME News Leadership Conference Sept. 11-12 in Austin, Texas? Have you booked your hotel room? Don't wait until the last minute. Plan now to join us this fall at the AT&T Executive Education and Conference Center! For two full days, we'll cover the latest innovations in content and technology, leadership strategies, new business models and more to help you lead your newsroom. Take a look at our conference schedule, and register and book your hotel room now. How can your opinion journalism bridge the gap between potential college-age audience members' political activism and their lack of knowledge and access to high-quality information? How do you cut through the noise and provide the structure and reliability young people seek with the goal of fostering a vibrant democracy and a more unified civic, and civil, life? This generation has had less civic education than previous generations, especially in K-12. It has been eliminated from school curricula across the country. A recent Knight Foundation/Gallup study said that more than 60 percent of college students show strong support for the First Amendment. However, some say that diversity and inclusion are more important to a democracy than free speech. The registration fee is $275 for members of ASNE and APME and $375 for nonmembers. A terrific group rate is available at the on-site hotel at the conference center for $219/night Sunday, Sept. 9, through Wednesday, Sept. 12. Sequence your best five shots to produce video news clips of under one minute with minimal editing. Design informational graphics with impact, such as maps and charts, using free and easy-to-use tools. The 2018 ASNE Newsroom Employment Diversity Survey went into the field last week. We ask you to please participate and help us track the state of diversity in staffing in U.S. newsrooms and achieve our longtime goal of having the percentage of minorities working in newsrooms nationwide equal to that of minorities in the nation's population by 2025. We believe such parity is critical to providing fair and accurate coverage of communities and the country. Supported by the Democracy Fund, the Google News Lab, the John S. and James L. Knight Foundation and the Robert C. Maynard Institute for Journalism Education, the 2018 diversity survey is led by Meredith Clark, assistant professor of the University of Virginia's Department of Media Studies, and her research team. APME and ASNE encourage editors looking to place summer interns in their newsrooms to consider hiring from the talented pool of diverse candidates who applied to the 2018 Chips Quinn Scholars Program for Diversity in Journalism. For more information about each candidate, contact CQS Program Director Karen Catone at mailto:kcatone@newseum.org. Richard Green has been named Editor at The Courier-Journal and Midwest Regional Editor for The USA Today Network, effective May 21. He most recently served as Executive Editor and Vice President of Content for the North Jersey Media Group. Updated contact details will be provided in due course. WASHINGTON (AP) - The Associated Press on Monday announced that award-winning journalist Susannah George will join its Washington bureau to cover U.S. intelligence agencies and national security. "Susannah is a dogged reporter with a track record of producing standout journalism on complex issues," Pace said. "In her new role as an intelligence reporter, she will be an integral part of our Washington-based national security team." George, 33, joined the AP in 2015 and has led coverage from the Baghdad bureau. She was a member of the team of journalists who won the Overseas Press Club awards this year for coverage of the Islamic State and the fight for Mosul. Her Mosul coverage was also part of a larger body of work named as a Pulitzer Prize finalist this year. George is also a 2018 Livingston Award finalist for international reporting.